ATTENTION! 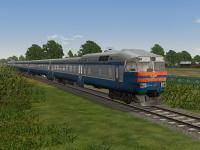 FOR CORRECT USING OF THIS DIESEL TRAINSET YOU NEED TO DOWNLOAD CABVIEW VER. 1.01 OR NEWEST AND SOUNDS FOR IT!